Rockstar Games’ Red Dead Redemption 2 has struck a popular chord with many online gamers. Unfortunately, the Western-themed action-adventure game has also become a popular vessel for malicious activity among cybercriminals as well. Scammers are tricking gamers into giving up their personal information with phony “free” downloads of the online game, while simultaneously making a profit on these downloads. You’re probably wondering how exactly this scam works. It first begins with cybercriminals planting their phony download traps in ads on platforms like YouTube, Twitter, and blog postings. With other, less sophisticated scams, a user would be prompted to install several bundled applications at this point, each one generating revenue for the scammer. But this scheme works a little bit differently. When the user clicks on the “download” button, they are presented with a fake install screen showing the progression of the game’s download process. The fake install takes about an hour to complete, further giving the illusion that a large file is actually being downloaded on the user’s device. Once the fake installation is complete, the user is asked to enter a nonexistent license key (a pattern of numbers and/or letters provided to licensed users of a software program). If a user clicks on one of the buttons on this screen, they are redirected to a website asking for human verification in the form of surveys and questionnaires. These surveys trick the user into divulging their personal information for the cybercriminal’s disposal. What’s more, the scammer earns revenue for their malicious acts. Browse with caution. Many scammers target gamers through popular websites like YouTube and Twitter to push out malicious content. Use discretion when browsing these websites. Only download content from trusted sources. If you come across a download offer that seems too good to be true, it probably is. Only download software from legitimate sources and avoid sites if you can’t tell whether they are trustworthy or not. Use security software to browse the internet. Sometimes, it can be hard to distinguish whether a site is malicious or not. Security solutions like McAfee WebAdvisor can detect the URLs and scam installers associated with this threat. And, of course, to stay on top of the latest consumer and mobile security threats, be sure to follow me and @McAfee_Home on Twitter, listen to our podcast Hackable? and ‘Like’ us on Facebook. 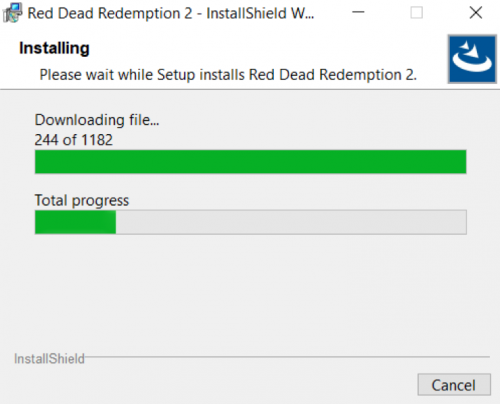 The post Attention Red Dead Redemption 2 Players: Dodge This New Download Scam appeared first on McAfee Blogs. Story added 6. December 2018, content source with full text you can find at link above. Ubuntu On A Phone Or Firefox OS: Which Scares iPhone And Android Most? You’ve heard of string theory. What about knot theory?